Keifer has come from a home where he was not very well understood. He was being crated and left for long periods and it seems he was being taunted by a 9yr old child while in his crate and he is food aggressive. He was not being given consistent guidance and one of the parents was unwillingly to interact with him, so he's quite unsettled. While he's been in rescue he has had the benefit of an assessment by a fosterer who has experience with difficult dogs and she feels that his difficulties are from fear and insecurity. She found him very easy to handle: he would give the odd growl if he was unhappy, but as long as she heeded his communication he was very manageable. 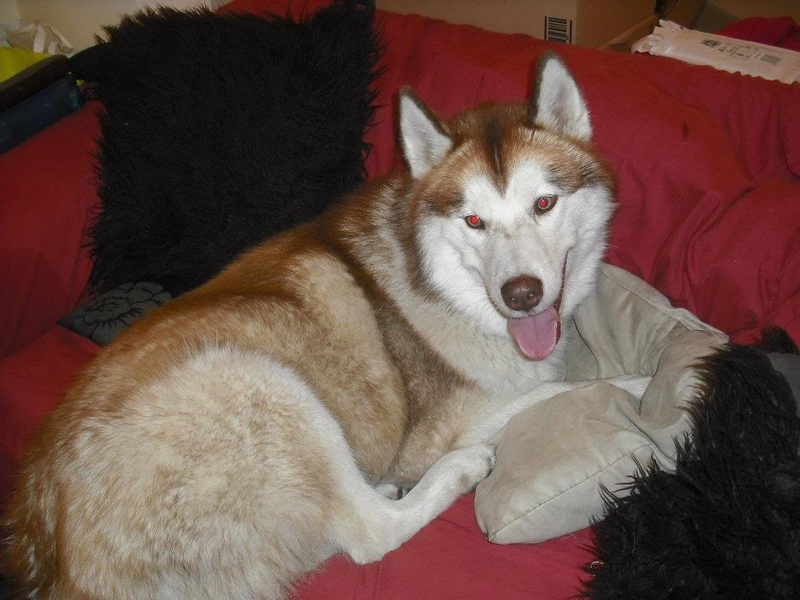 He will need a home with good experience of husky type breeds and with the confidence to continue his rehabilitation. Apart from that he's a gorgeous fluffy playful boy! Please contact Mike Price - 07956 342529 - if interested. Aww he is beautiful and only needs the right owner to help ease his insecurities, fingers crossed for a loving forever home for him soon.